When you come into Venice from the sea, the first thing you see of this island is the unmistakable silhouette of the Doge's Palace. Having been the seat of political and administrative power of the Venice Republic from its birth to its end, the Doge's palace also known as the Palazzo Ducale is a statement to the splendor of the La Serenissima (Venice). It has 3 fundamental roles: the seat of the government, house of justice and as the Doge's residence. 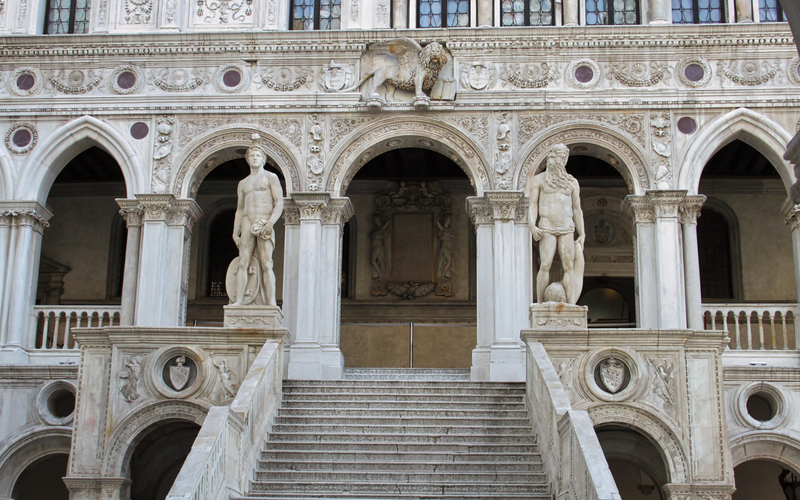 A visit to Doge's Palace will open your eyes to the rich and lavish art, history, and relics of ancient Venice. It boasts an array of Renaissance masterpieces, grand staircases, opulent rooms, and monumental entrances, all of which will leave you enthralled beyond words. You skip the line access to the Palace ensures that you spend more time admiring its many wonders than you do waiting in line to get in. 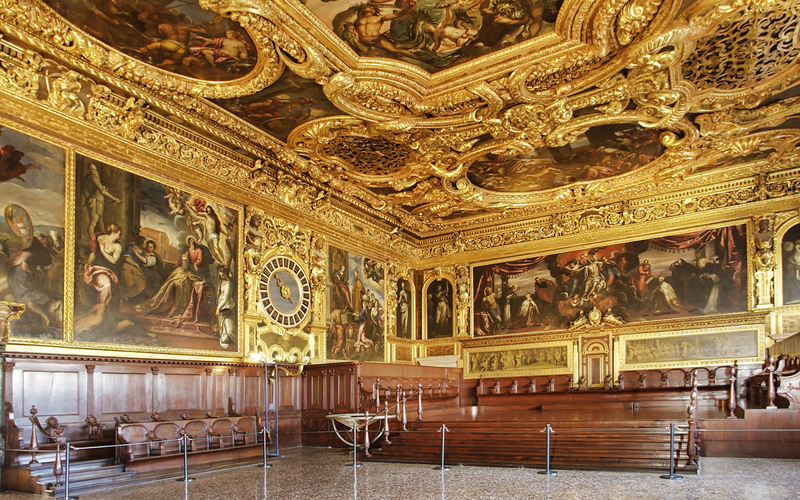 You can then explore the Royal Palace, which is the present day Museo Correr, which was once home to the Procurators, Venice's most honored dignitaries. It is the more modern of the three museums in St. Mark's Square, built during the time when Venice still fell under Napoleon's rule. The building is flanked by the Procuratie Nuove and Vechie buildings on each side, once the Royal Palace under Napoleon's rule, refurbished for the use of Empress Elisabeth of Austria, and that is the purpose it served until 1946. Now, visitors to the different Royal Palaces can learn about Venice's culture, history and present way of life, as your guidebook is sure to tell you. Collect your guidebook from a nearby book-shop, which not only contains fascinating details on the Doge's Palace and the other gems in St Mark's Square, but also contains useful boat information and a map to get around the city. Gain skip the line access to the Museo Correr, Museo Archeologico Nazionale and Monumental Rooms of Biblioteca Nazionale Marciana with your ticket. Although your Skip the Line tickets allow you to bypass the ticketing line you, you cannot skip the security line. You may cancel up to 24 hours in advance. 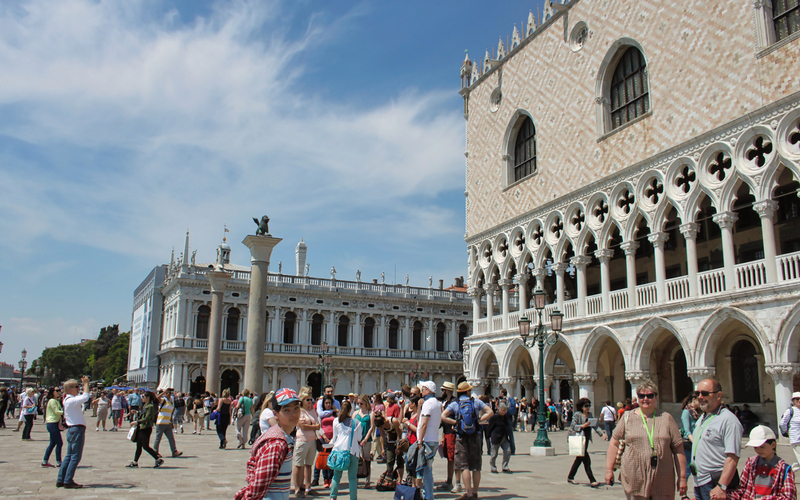 You will receive an email confirmation with your Skip The Line: Doge's Palace Tickets and Guide Book voucher shortly. You will have to collect your guidebook from the Bookshop Music Museum, in Campo San Maurizio at the Church of St. Maurizio. You may display your vouchers on your mobile phone . You can skip the lines at the ticket desk by tapping your barcode embedded electronic mobile voucher at the reader located near the entrance of each attraction. 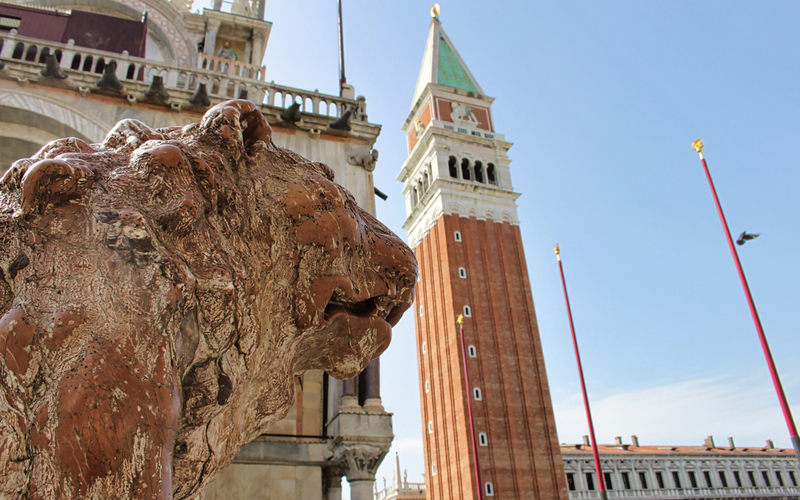 Handy Guide with details of Doge's Palace, Basilica, Saint Mark's Square and suggestions for 7 itineraries to visit Venice. Detailed Map with public boat transportation information.